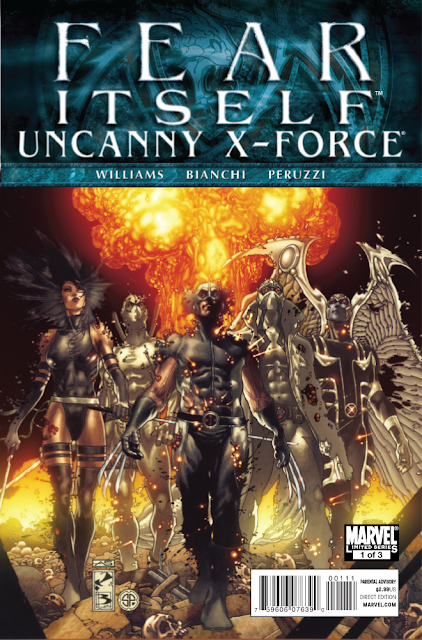 Fear Itself: Uncanny X-Force #1 comes out tomorrow July 6, 2011. A preview of this issue can be seen here. As armageddon hits the Marvel world in the events of FEAR ITSELF?terror grips the planet. An extreme faction of the mutant hate group The Purifiers believes that the end of the world has come, that the devil is here?for humanity and it is up to them to “save” as many human souls as they can before he strikes. Can X-Force stop their drive for worldwide suicide? And what, exactly, is a mutant kill crew afraid of?